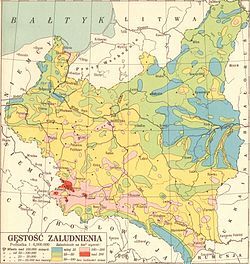 The Free City of Danzig (German: Freie Stadt Danzig; Polish: Wolne Miasto Gdańsk) was a semi-autonomous city-state that existed between 1920 and 1939, consisting of the Baltic Sea port of Danzig (today Gdańsk) and surrounding areas. The Free City was created on 10 January 1920 in accordance with the terms of Part III, Section XI of the Treaty of Versailles of 1919 without a plebiscite. The Free City included the city of Danzig and over two hundred nearby towns, villages, and settlements. As the League of Nations decreed, the region was to remain separated from the nation of Germany, and from the newly-resurrected nation of Poland. The Free City was not autonomous; it was under League of Nations protection and put into a binding customs union with Poland. Poland also had special utilization rights towards the city. The Free City was created in order to give Poland sufficient access to the sea, while at the same recognizing that its population was mainly German. In 1933, the City's government was taken over by the local Nazi Party, the democratic opposition was suppressed and widespread anti-Semitic and anti-Polish discrimination and organized murder followed the German invasion of Poland in 1939, when the Free City was abolished and incorporated into the newly-formed Reichsgau of Danzig-West Prussia. This occurred without the approval of Poland or the League of Nations. Then, starting with the city's conquest by the Soviet Army in the early months of 1945, ethnic German citizens of the former Free City of Danzig were in large numbers forced to leave (expelled). 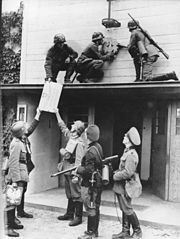 Then, the city was put under Polish administration by the Allied Potsdam Agreement, and Polish settlers were brought in to replace the German population. Danzig had a long tradition of city-state independence of its own. It was a leading player in the Prussian Confederation (Polish: Związek Pruski, German: Preux�ischer Bund) directed against the Teutonic Monastic State of Prussia. The Confederation stipulated with the Polish king, Casimir IV Jagiellon, that the Polish Crown would be invested with the role of head of state of western parts of Prussia (Royal Prussia). In contrast, Ducal Prussia remained a Polish fief. Danzig, and the other cities, like Elbing and Thorn, financed most of the warfare and enjoyed a high level of city autonomy. 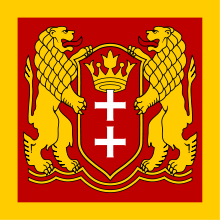 Therefore Danzig used the title Royal Polish City of Danzig (Polish: Krx�lewskie Polskie Miasto Gdańsk). When, in 1569, Royal Prussia's Prussian estates (German: Landtag, Polish: Sejmik) agreed to incorporate the region into the Polish-Lithuanian Commonwealth by way of a real union, the city insisted on preserving its special status within the Polish-Lithuanian Commonwealth. Danzig had to go through the costly Siege of Danzig in 1577 in order to preserve special privileges. To make clear its position about its special status, the city always insisted on negotiating its issues by sending emissaries directly to the Polish king. The city-state was denied the use of the term of Hanseatic City as part of its official name, which referred to Danzig's long-lasting membership in the Hanseatic League. The Free City of Danzig included the major city of Danzig (Gdańsk), Zoppot (Sopot), Oliva (Oliwa), Tiegenhof (Nowy Dwx�r Gdański), Neuteich (Nowy Staw) and some 252 villages and 63 hamlets, covering a total area of 1,966 square kilometers (754 sq mi). The Free City was to be represented abroad by Poland and was to be in a customs union with it. The German railway line that connected the Free City with newly-created Poland was to be administered by Poland, as well as all rail lines in the territory of the Free City. On November 9, 1920, a convention was signed between the Polish government and the Danzig authorities, that provided for the Presence of a Polish diplomatic representative in Danzig. In article 6, the Polish government undertook not to conclude any international agreements regarding Danzig without previous consultation with the Free City's government. After local dockworkers had refused to unload ammunition supplies throughout the Polish-Soviet War in 1920, the Westerplatte peninsula (until then a city beach), was also given to Poland to built up an ammunition dump and a military post within the city's harbour. There was also a separate Polish post office established, besides the existing municipal one. 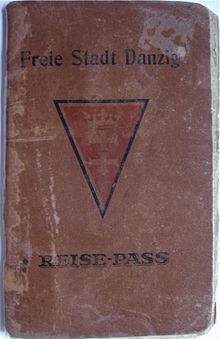 The Treaty of Versailles, which had separated Danzig and surrounding villages from Germany, now required that the newly-formed state had its own citizenship, based on residency. German inhabitants lost their German Citizenship with the creation of the Free City, but were given the right within the first two years of the state's existence to re-obtain it; however, if they did so they were required to leave their property and make their residence outside of the Free State of Danzig area in the remaining part of Germany. In 1924, 54.7% of the populace was Protestant (220,731 persons, mostly Lutherans within the united old-Prussian church) and 34.5% was Catholic (140,797 persons), 2.4% Jewish (9 ,239 persons), furthermore there were other Protestants such as 5,604 Mennonites, 1,934 Calvinists (Reformed), 1,093 Baptists, 410 Free Religionists, as well as 2,129 dissenters, 1,394 faithful of other religions and denominations and 664 irreligionists. The Jewish community grew from 2,717 in 1910 to 7,282 in 1923, and 10,448 in 1929, many of them immigrants from Poland and Russia. The mostly Lutheran and partially Reformed congregations situated in the territory of the Free City, which previously used to belong to the Ecclesiastical Province of West Prussia (German: Kirchenprovinz Westpreux�en) of the Evangelical Church of the old-Prussian Union (EKapU), transformed into the Regional Synodal Federation of the Free City of Danzig (German: Landessynodalverband der Freien Stadt Danzig) after 1920. The executive body of that ecclesiastical province, the consistory, was seated in Danzig and was restricted after 1920 in its competence to those congregations within the Free City's territory. Unlike the Second Polish Republic opposing the cooperation of the United Evangelical Church in Poland with EKapU, Volkstag and Senate of Danzig approved cross-border religious bodies so that Danzig's Regional Synodal Federation - just as the regional synodal federation of the autonomous Memelland - retained the status of an ecclesiastical province within EKapU. After the German annexation of the Free City in 1939 the EKapU merged the Danzig regional synodal federation in 1940 into the Ecclesiastical Region of Danzig-Westpreux�en (Kirchengebiet Danzig-Westpreux�en), also comprising the congregations of the United Evangelical Church in Poland in the homonymous Reichsgau Danzig-West Prussia, with Danzig's consistory functioning as executive body for that region. With the flight and expulsion of most Protestant parishioners from the area of the Free City of Danzig between 1945 and 1948 the congregations vanished. In March 1945 the consistory had relocated to Lx�beck and opened there a rescue centre for Danzigers (Hilfsstelle beim evangelischen Konsistorium Danzig) led by Upper Consistorial Councillor Gerhard M. Gx�lzow. The Lutheran congregation of St. Mary's Church could relocate its valuable parament collection and the presbytery granted it on loan to St. Annen Museum in Lx�beck after the war. Other Lutheran congregations of Danzig could reclaim their church bells, which the Wehrmacht had requisitioned as non-ferrous metal for war purposes since 1940, but which had survived, not yet smelted down, in storages (e.g. Glockenfriedhof (German)) in the British zone of occupation. The presbyteries granted them usually to Northwestern German Lutheran congregations which had lost bells due to the war. Picture - Then Cathedral of Ss. Trinity, Mary and Bernard in Oliva, Danzig. The 36 Catholic parishes in the territory of the Free City in 1922 used to belong in equal shares to the then mostly Polish Diocese of Culm and the then mostly German Diocese of Ermland. So while the Second Polish Republic wanted all the parishes within the Free City to form part of Polish Culm, Volkstag and Senate wanted them all to become subject to German Ermland. So the Holy See suspended the jurisdictions of both dioceses over their parishes in the Free State and established an exempt apostolic administration for the territory in 1922. The first apostolic administrator was Edward O'Rourke, who became Bishop of Danzig on the occoasion of the elevation of the administration to an exempt diocese. He was naturalised as Danziger on the same occasion. In 1938 he resigned after quarrels with the Nazi-dominated Senate of Danzig on appointments of parish priests of Polish ethnicity. The senate also instigated the denaturalisation of O'Rourke, who subsequently became a Polish citizen. O'Rourke was succeeded by Bishop Carl Maria Splett, a native form the Free City area. Splett remained bishop also after the German annexation of the Free City. In early 1941 he applied for admitting the Danzig diocese as member in Archbishop Adolf Bertram's Eastern German Ecclesiastical Province and thus at the Fulda Conference of Bishops, however, Bertram, also speaker of the Fulda conference, rejected the request. Any arguments that the Free City of Danzig had been annexed to Nazi Germany, did not impress Bertram since Danzig's annexation lacked international recognition. Until the reorganisation of the Catholic dioceses in Danzig and the formerly eastern territories of Germany the diocesan territory remained unaltered and the see exempt. However, with the replacement of Danzig's population between 1945 and 1948 by mostly Catholic Poles the number of Catholic parishes increased and most formerly Protestant churches were taken over for Catholic services. Picture - Then Great Synagogue on Reitbahn street, Rechtstadt quarter of Danzig. 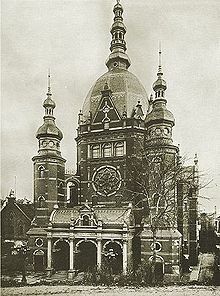 Since 1883 most of the Jewish congregations in the later territory of Free State had merged into Synagogengemeinde Danzig (English: Synagogal Community of Danzig). Only the Jews of Tiegenhof (Nowy Dwx�r Gdański) ran their own congregation (Synagogengemeinde Tiegenhof) until 1938. In the era of the Free City Danzig became a centre of Polish and Russian Jewish emigration to North America. Between 1920 and 1925 60,000 Jews emigrated via Danzig to the US and Canada. But many also remained in Danzig, reinforced by immigrants from Germany, quadrupling the number of community members. Native Jews and newcomers had established in the city and contributed to its civic life, culture and economy. Danzig became a venue for international meetings of Jewish organisations, such as the convention of delegates from Jewish youth organisations of various nations, also attended by David Ben Gurion, founding the World Union of Jewish Youth on 2 September 1924 in the Schx�tzenhaus venue. On 21 March 1926 the Zionistische Organisation fx�r Danzig convened delegates of Hechalutz from all over for the first conference in Danzig using Hebrew as common language, also attended by Ben Gurion. With the takeover of a Nazi majority in Volkstag and Senate the situation deteriorated severely. Anti-Semitic atrocities and discriminations occurred unsanctioned by the authorities. Unlike Germany, which exercised capital outflow control since 1931, emigration of Danzig's Jews was somewhat easier, with capital transfer enabled by the Bank of Danzig. Also the comparatively few Danzig Jews were offered easier refuge in safe countries, while the numerous Jewish Germans and Jewish Poles realised exhausted quotas for them and their fellow nationals. The German November Pogrom was imitated in Danzig a few days later. The Jewish community decided to organise their emigration and managed to rescue most of its members to safe countries. The Free City was governed by the Senate of the Free City of Danzig, which was elected by the parliament (Volkstag) for a legislative period of four years. The official language was German, although the usage of Polish was guaranteed by law. The political parties in the Free City corresponded with the political parties in Weimar Germany; the most influential parties in the 1920s were the conservative German National People's Party, the Social Democratic Party of the Free City of Danzig and the Catholic Centre Party. A Communist Party was founded in 1921 with its origins in the Spartacus League and the Communist Party of East Prussia. Several liberal parties and Free Voter's Associations existed and ran in the elections with varying success. A Polish Party represented the Polish minority and received between 3% (1933) and 6% (1920) of the vote (in total, 4,358 votes in 1933 and 9,321 votes in 1920). Initially the Nazi Party had only a small amount of success (0.8% of the vote in 1927) and was even briefly dissolved. Its influence grew with the onset of difficult economic times and the increasing popularity of the Nazi Party in Germany proper. 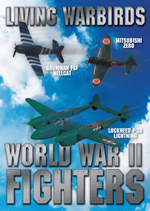 Albert Forster became the Gauleiter in October 1930. The Nazis won 50 percent of votes in the Volkstag elections of 28 May 1933. They took over the Senate in June 1933, with Hermann Rauschning becoming President of the Senate of Danzig. Rauschning was removed from his position by Forster and replaced by Arthur Greiser in November 1934. He later appealed to the public not to vote for the Nazis in the 1935 elections. Political opposition to the Nazis was repressed and several politicians imprisoned and murdered. The economic policy of the Nazi government, which increased the public issues for employment-creation programs, and the retrenchment of financial aid by the German Government led to a devaluation of more than 40% of the Danziger Gulden. The Gold reserves of the Bank of Danzig declined from 30 million Gulden in 1933 to 13 million in 1935 and the foreign asset reserve from 10 million to 250,000 Gulden. As in Germany, the Nazis introduced an "Enabling Act" and the racialist Nuremberg laws (November 1938), existing parties and Unions were gradually banned. The presence of the League of Nations however still guaranteed a minimum of legal certainty. In 1935, the oppositional parties, except for the Polish Party, filed a law suit to the Danzig High Court in protest against the manipulation of the Volkstag elections. The opposition also protested to the League of Nations, as did the Jewish Community of Danzig. The anti-Jewish riots of the Kristallnacht of 9/10 November 1938 in Germany were repeated by similar riots on 12/13 November in Danzig. The Danzig Great Synagogue was taken over and demolished by the local authorities in 1939. Most Jews had already left the city and the Jewish Community of Danzig decided to organize its own emigration in early 1939. The rights of the Second Polish Republic within the territory of the Free City were stipulated in the Treaty of Paris of 9 November 1920 and the Treaty of Warsaw of 24 October 1921. The details of the Polish privileges soon became a permanent matter of disputes between the local populace and the Polish State. While the representatives of the Free City tried to uphold the City's autonomy and sovereignty, Poland sought to extend its privileges. Throughout the Polish-Soviet War, local dockworkers went on strike and refused to unload ammunition supplies for the Polish Army. While the ammunition was finally unloaded by British troops, the incident led to the establishment of a permanent ammunition depot at the Westerplatte and the construction of a trade and naval port in Gdynia, whose total exports and imports surpassed those of Danzig in May 1932. Several disputes between Danzig and Poland occurred in the sequel. The Free City protested against the Westerplatte depot, the placement of Polish letter boxes within the City and the presence of Polish war vessels at the harbour. The attempt of the Free City to join the International Labour Organization was rejected by the Permanent Court of International Justice at the League of Nations after protests of the Polish ILO delegate. Until June 1933, the High Commissioner decided in 66 cases of dispute between Danzig and Poland, in 54 cases one of the parties appealed to the Permanent Court of International Justice. Subsequent disputes were resolved in direct negotiations between the Senate and Poland after both had agreed to abstain from further appeals to the International Court in the summer of 1933 and bilateral agreements were concluded. ... that a National Socialist Senate in Danzig is also most desirable from our point of view, since it brought about a rapprochement between the Free City and Poland, I would like to remind him that we have always kept aloof from internal Danzig problems. In spite of approaches repeatedly made by the opposition parties, we rejected any attempt to draw us into action against the Senate. I mentioned quite confidentially that the Polish minority in Danzig was advised not to join forces with the opposition at the time of elections. When Carl J. Burckhardt became High Commissioner in February 1937, both Poles and Germans openly welcomed his withdrawal and Polish Minister of Foreign Affairs Jx�zef Beck notified him not to "count on the support of the Polish State" in the case of difficulties with the Senate or the Nazi Party. While the Senate appeared to respect the agreements with Poland, the "Nazification of Danzig proceeded relentlessly" and Danzig became a springboard for anti-Polish propaganda among the German and Ukrainian minority in Poland. The Catholic Bishop of Danzig, Edward O'Rourke, was forced to withdraw after he had tried to implement four additional Polish nationals as parish priests in October 1937. The German policy openly altered immediately after the Munich Conference in October 1938, when German Minister of Foreign Affairs, Joachim von Ribbentrop, demanded the incorporation of the Free City into the Reich. In April 1939, High Commissioner Burckhardt was told by the Polish Commissioner-General that any attempt to alter its status would be answered with armed resistance on the part of Poland. 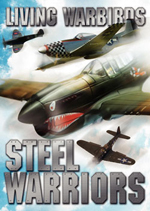 World War II began with the shelling of the Westerplatte on 1 September 1939. Gauleiter Forster entered the High Commissioner's residence and ordered him to leave the City within two hours, the Free City was formally incorporated into the newly-formed Reichsgau of Danzig-West Prussia. Polish civilian Post Office employees had been trained and had a cache of weapons, mostly pistols, three light machine guns and some hand grenades, when they defended the Polish Post Office for 15 hours. They were executed upon their surrender, against international law. The Polish military forces in the city held out until the 7th September. Around 90% of the city was reduced to ruins towards the end of the Second World War. On 30 March 1945, the city was taken by the Red Army. It is estimated that more than 90% of the pre-war population were either dead or had fled by 1945. A number of inhabitants of the city perished in the sinking of a ship assisting evacuation, the Wilhelm Gustloff. It had up to 10,000 refugees on board at the time, including about 1,000 seriously wounded soldiers and sailors. By 1950, around 285,000 citizens of the former Free City were living in Germany and 13,424 citizens of the former Free City had been "verified" and granted Polish citizenship. By 1947, 126,472 German-born Danzigers were expelled to Germany from Gdańsk, and 101,873 Poles from Central Poland and 26,629 Poles from Soviet-annexed Eastern Poland took their place. As a result of this drastic population exchange, little consideration was given to the idea of reconstituting the Free City after the fall of the Iron Curtain. Historical Danzig forms the setting for much of Nobel Prize-winning author Gx�nter Grass's acclaimed novel Die Blechtrommel (The Tin Drum).